This has been a family owned and operated since 1968. We do private charter for groups up to 24 persons. 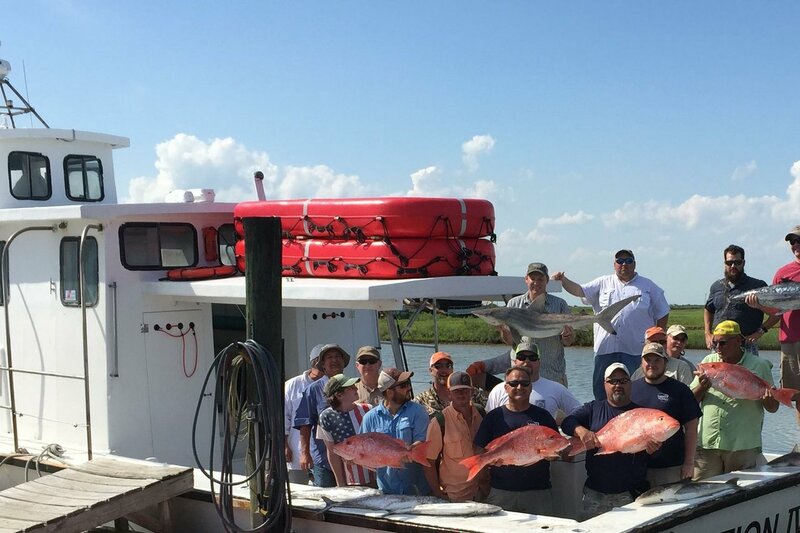 Treat yourself, friends, clients, employees, family or other groups to a productive and exciting fishing trip. Our second generation captains will lead you on a quest for many varieties of fish. Our 52 foot Action IV 24 passenger boat normally departs between 6:00 and 6:30 a.m. and returns around 5 p.m. Enjoy fishing for Red Snapper, King Mackerel, Shark, Ling, Amberjack, Grouper, Mahi Mahi and Wahoo. Fish 30 to 60 miles offshore at oil platforms, tide rips, around anchored shrimp boats, wrecks and reefs. Items you will need: food, drinks, alcohol is okay (in moderation), sun block, sunglasses, hat, camera, and large cooler to take your fish home in. 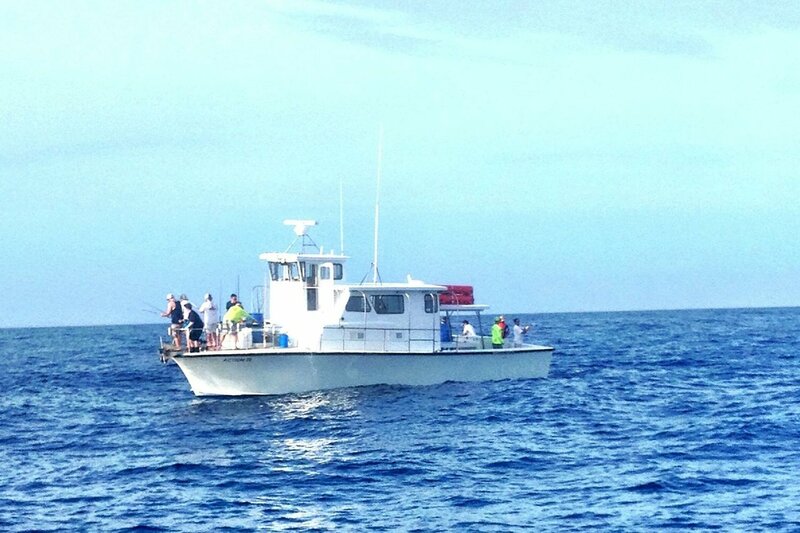 Gratuity takes care of the Crew, Captain and your fish cleaning at the end of the day (Action Charters provides the zip-locks to take your fish home in). The Captain will fillet your fish on the half shell or will gut the whole fish if you request it. Please let the Captain know before he starts cleaning fish if you have any special request. We will ask for a volunteer out of the fishing group to bag fish to help make the process go more smoothly and quickly. Bringing your own tackle: Customers are allowed to bring their own tackle with permission from the Captain. Action Charters does not allow braided line, treble hooks or trailer hooks. Usually this boat operates around Surfside Beach, TX.